This How To explains the steps you need to take to set up a branded YouTube channel for your organisation, group or charity. YouTube has now been taken over by Google, so in order to get started it’s best to have a Google account. Be warned, though: once you’ve set up your channel using a particular Google account you can’t then transfer it to another Google account.You also can’t re-use a YouTube name, so once you’ve set up the account you’re pretty much setting it in stone. The easiest way to set up a Google account is to use Gmail. So go to www.google.co.uk and click on the Gmail option in the black bar at the top of the page. Follow the steps to set up a gmail account and make sure you choose a username that you like… you’ll be stuck with it! Now go to YouTube (www.youtube.com). At the top righthand corner of the page is a link called ‘Create Account’. Click on this and follow the steps to create a YouTube account using the Gmail details you’ve just set up. You can try out various usernames, and check to see if they have been taken already. At the end of the account set-up you’ll be presented with a screen on which is a link to ‘Customise Channel’: follow this link. Alternatively, if you miss it or want to add a channel to an existing YouTube account you have, then no problem – just look at the top righthand corner of the screen to find your username. Next to your username is a pull-down arrow: click on this and select ‘Customise Channel’ from the menu. Now you can see your channel! But it probably looks a bit boring, and you want it to show your organisation’s logo, corporate colours, and any images that you normally use to brand something as your own. At the top of the channel are a series of tabs. The second one along from the left is called ‘Themes and Colours’: click on this. You can make use of one of the preset themes if you want, or you can do your own sweet thing and click on ‘Advanced Options’. Here, you will be presented with lots of options to customise the look of your channel, including setting the colours (in those hex numbers we were talking about). You can also upload an image to form the background of your page. This could be one large image, or a smaller one that you can select to repeat (i.e. tile – for HTML speakers). Once you’ve made your changes you can save your theme with a new name: this is handy if you want to periodically change your theme to reflect your current campaign, then change it back to the standard one for your organisation. Don’t forget to save your changes! Back on the channel’s page, you can use the little arrows next to any of the page elements to move that bit around the screen until you have the layout you want. Go back up to the top of the channel’s page and look at that tabbed bar again. The first tab is ‘Settings’. Click on this. In this tab you can: find out the URL of your channel, which is vital for spreading the word about it set the page title add metadata using tags to help your page be found when people are searching for content on a particular subject Want to change the default anonymous-person picture that appears on your channel next to your name? Then it’s off to the username menu at the top righthand corner of the screen again. Just pick ‘Profile’ and then upload the logo or image you want to use. Step 6. Start uploading videos! Now you’re rolling! 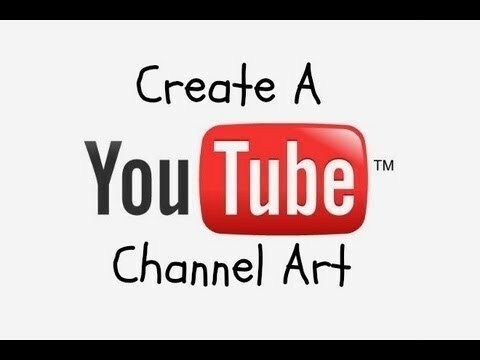 You can start uploading videos, or collecting them from around YouTube and displaying them all in one place on your channel. You have your own URL for the channel, so you can publicise its existence and create a link from your website directly to your content on YouTube. Take a look at some of the channels of organisations similar to yours for inspiration.